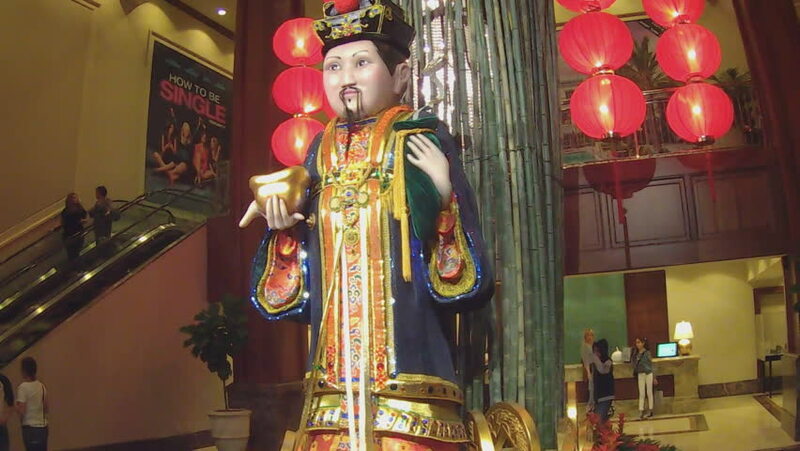 GLENDALE, CA/USA: February 21, 2016- A tall colorful statue at a shopping mall in Glendale California celebrates the Chinese Lunar New Year. Shoppers can be seen walking around near the sculpture. hd00:17Brunette woman in red dress decorated elegantly dancing in passage second floor of cafe.